The 2017 Wake Forest Soccer season was filled with excitement and one of the finest runs on ACC play that the Demon Deacons have ever seen. Even though Wake Forest fell short on its goal to reach the College Cup again, this season was still remarkable due to one of the most talented Wake Forest teams in recent history. Such talents include freshman sensation Brandon Servania who, after tying Jack Harrison’s record of most points scored by a Wake Forest freshman with 17, signed a homegrown contract with the FC Dallas to begin his professional career. Reigning ACC Defensive Player of the Year Kevin Politz also signed a homegrown contract with the New York Redbulls. Politz started at center back for Wake Forest all his four years of his career at Mother So Dear. He helped the Demon Deacons to register more than 40 shutouts throughout, including 13 this past season. The senior also won accolades for his outstanding work off the field, and was named Scholar All-American by the United Soccer Coaches with a GPA of 3.94 as a mathematical business major. Also joining the MLS are sophomore Ema Twumasi and senior Jon Bakero. Twumasi finished second on the team in both goals (10) and points (27), only behind Bakero in those categories. He also finished third in assists (7) behind Bakero and Servania. Twumasi’s breakout performance earned him first-team All-ACC honors in 2017. Twumasi will enter the MLS SuperDraft as a Generation Adidas player, much like Jack Harrison, in the 2016 draft, who was also a signee of the Adidas academy program and went on to be selected No. 1 overall that year. The Generation Adidas program functions much like homegrown contracts, as it does not count towards the team’s salary budget. The biggest difference between the Generation Academy and a team-owned Academy is that Generation Adidas players have no prior affiliation to a specific team and will enter the MLS through the SuperDraft instead of signing a homegrown contract with the team whose Academy helped develop the player. This is the case for Servania (FC Dallas) and Politz (NY Redbulls). Bakero is also entering the SuperDraft. After posting stellar numbers last season and leading the nation in total points with 46 (16 goals and 14 assists), Bakero earned first-team All-ACC and ACC Offensive Player of the Year honors. Bakero also won the MAC Hermann Trophy this season, which is awarded to the best college player in the nation. This marks the first time ever that Wake Forest players have won back-to-back and third time overall, as Ian Harkes won in 2016 and Marcus Tracy won it in 2008. Earlier this offseason, Bakero joined Politz as a first-team All-American for his outstanding performance on and off the field. If both Bakero and Twumasi are drafted, Wake Forest will have nine Deacons going to the MLS over the past three seasons under Coach Bobby Muuss. 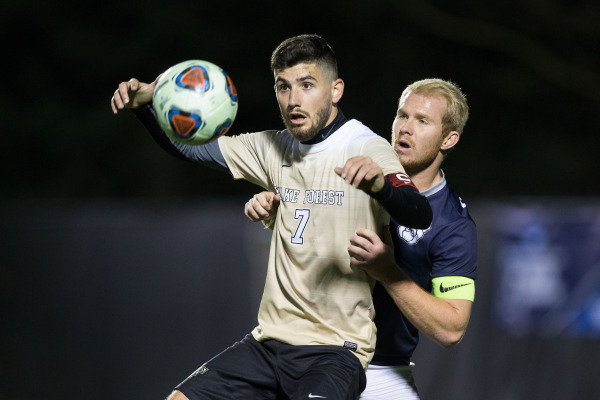 Moreover, senior Luis Argudo was added Jan. 12 to the MLS 2018 Combine and could possibly become the 10th Deacon under Muuss and 5th just this season to go play professionally on the MLS. Ultimately, this offseason marks another very successful season in developing young players both on and off the field for Wake Forest. Coach Muuss and his staff have exceeded in guiding young talents to reach their full potential, while also pursuing a great education at Wake Forest. Wake Forest has proven to be one of the best pipelines for revealing young soccer players to the MLS and one of the best college soccer programs in the nation with its combination of coaching, facilities, and education opportunities. 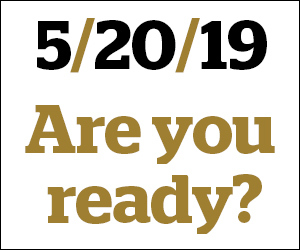 The SuperDraft will be held Jan 19-21 in Philadelphia, PA.
We wish nothing but the best to the newest Wake Forest soccer alumni on this new chapter of their lives as professionals.